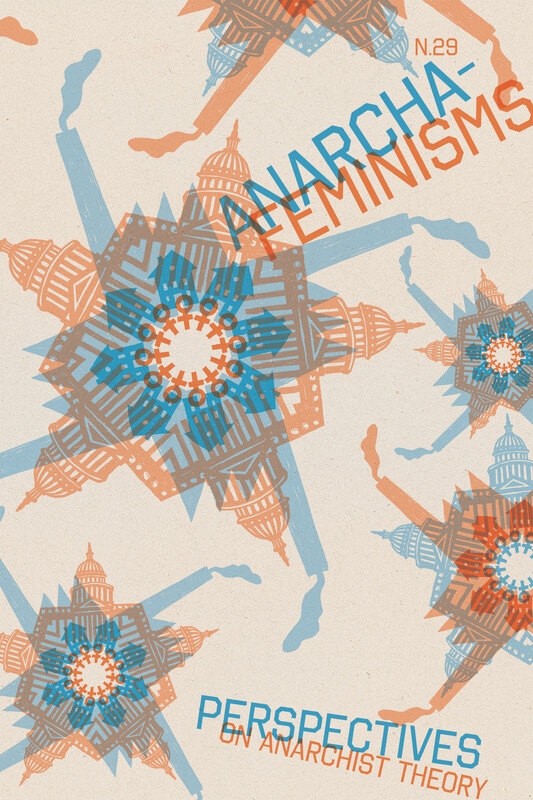 Support the Publication of Perspectives on Anarcha-Feminisms! We are a group of six people in Canada and the US who collectively publish Perspectives on Anarchist Theory, the journal of the Institute for Anarchist Studies. Our new issue focuses on anarcha-feminisms, and includes a wide variety of voices on the subject. It will offer histories of anarcha-feminism, while also looking at ways anarchist feminism can move forward, what the relationship between anarchism and feminism is and the ways the anarchist movement falls short from a feminist perspective. We are turning to you to help fund the design, layout, printing and mailing costs for this issue. With your help, we’ll be able to publish 1,000 copies and mail it to bookstores, distributors and people like you around the world. Perspectives is printed in Portland, Oregon at Eberhardt Press, who often donate labor and do things like add color to pages without cost. For this issue Josh MacPhee is not able to do layout because his partner just gave birth, so we are hiring a comrade to help. Although he is reducing the costs for his work, it will still be $300 for layout and design, and then $2,750 or so to print, and then another $750 for mailing costs. So we are looking to raise $4,000 which includes an extra $200 for any unexpected expenses, which will go towards future issues if not used. In exchange for your help in getting the anarcha-feminisms issue out, we can offer all sorts of perks, including copies of the issue when it’s ready, and many of our excellent back issues and copies of our Anarchist Interventions books, published in collaboration with AK Press. We are turning to you to help make all this possible. Through your contribution we can get the new issue of Perspectives out to the world. The current Perspectives collective has been publishing issues of our journal for quite some time now, and we will produce an excellent issue with your help. Please donate what you can, and spread the word about our fundraising campaign with your friends, family, coworkers and comrades! Thank you!